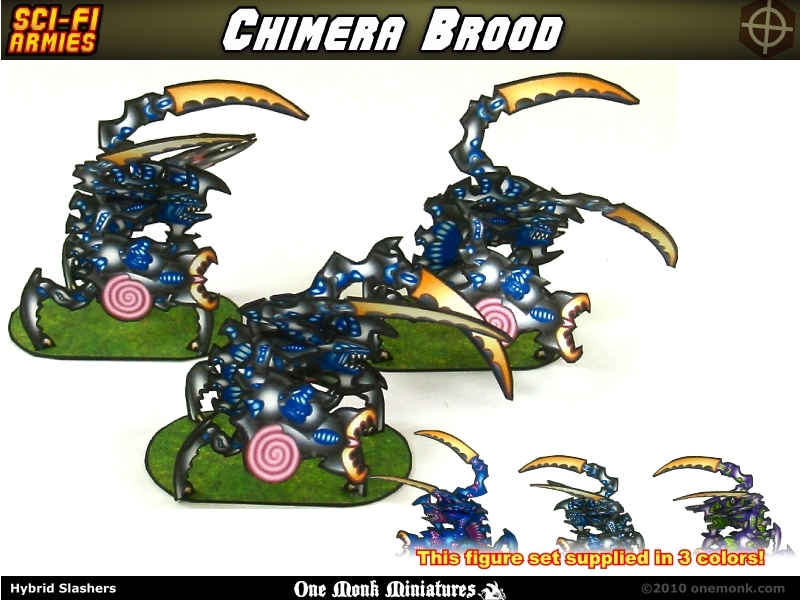 Chimera Brood on the loose! The Brood is growing and running wild! 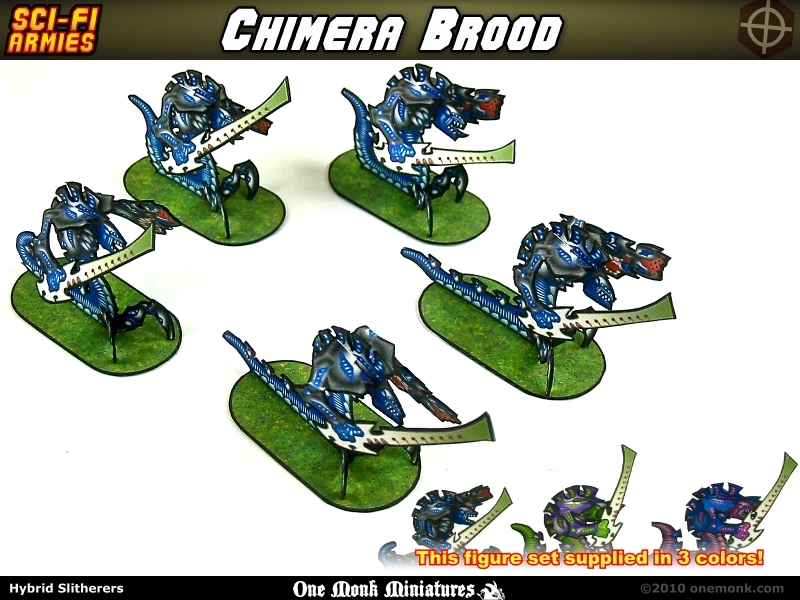 Two new Chimera Brood sets are now available. From the caverns and breeding grounds come the terrifying Hybrid Slashers, and the stealthy and vicious Hybrid Slitherers. Pick yours up today. 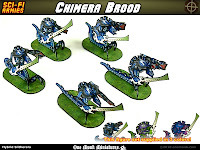 And why not some Terra Force Marines who are eager and desperate to drive them back to the depths from whence they came. "Hands down winner here. 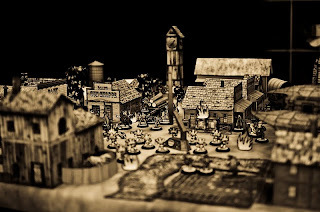 Sepia toned photos, models from many companies, very action oriented scene, shots from many angles to show the complete story of the event, clean builds. Excellent submission." Congratulations to all the winners! It was a job well done. We will get with you shortly to give you your 'trophies'. We would like to thank our sponsors: Armor Grid Games & Miniatures and also Moss Games. Please go and check them out. We learned a lot this first year and look forward to the 2012 Papercut Awards. You can continue the discussion on the forums. Several new sets have been posted on the site. In the Warbands section there are three new sets, including Evil Knights warband, Goblins warband, and Orc warband. 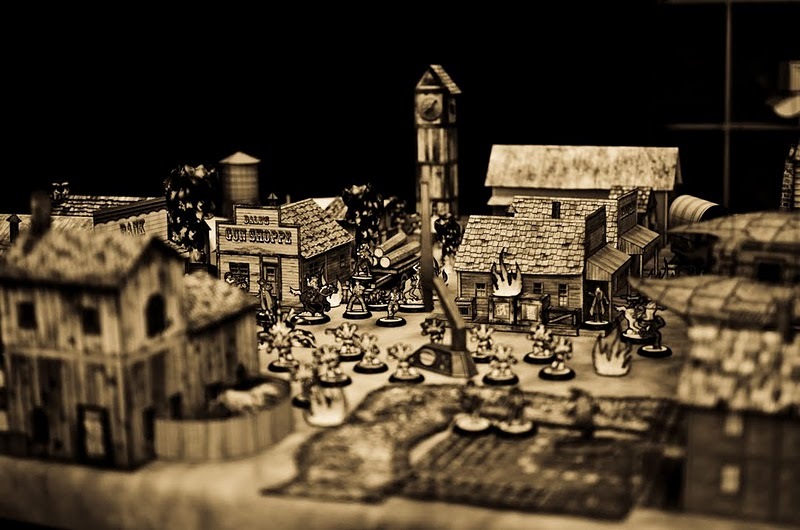 In the Townsfolk section there are now two sets available, including Male and Female tavern patrons. Keep checking back as we work to get more sets available. Each of the Onemonk miniatures sets comes complete with 300dpi resolution, true front and back artwork, and .studio cut files for your automated cutters. With new cut file software available, and in getting each of the sets to a nice clear resolution, there is a good deal of work to do for each of the sets to be made available once again on the site. We are steadily working to keep the sets coming.